OFFERING YOU THE MOST COMPREHENSIVE BRIDAL MAKEUP AND HAIRSTYLING COURSES AVAILABLE IN THE WEDDING INDUSTRY. LEARN THE UNIQUE SET OF SKILLS REQUIRED TO CREATE AN AWESOME BUSINESS AND TURN YOUR CLIENTS INTO AN ARMY OF RAVING FANS. We designed our bridal makeup and hairstyling courses to include the UNIQUE skills that are essential to succeed which we COULDN’T FIND ON ANY OTHER COURSES. 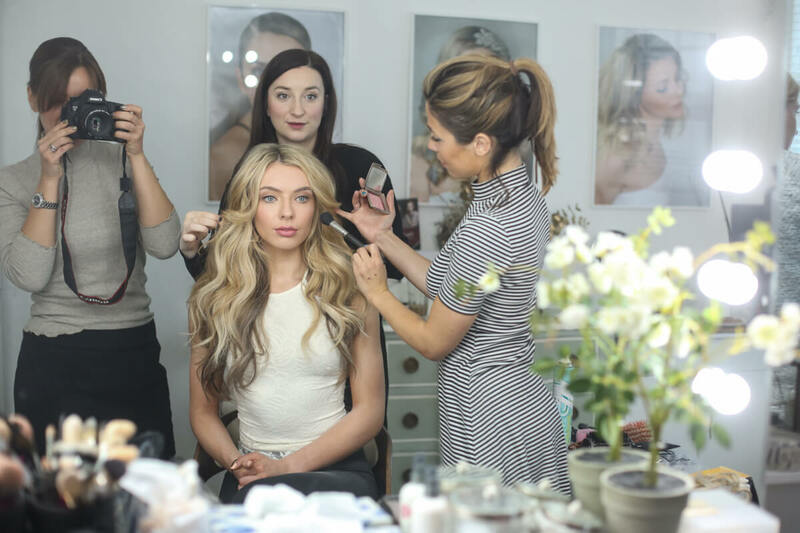 We have the highest-quality expert tutors who understand the intricacies of bridal makeup and styling and how to run a business. You’ll have their years of knowledge and experience to draw from in our super-intensive courses. To have the best chance of succeeding as a bridal makeup artist or hairstylist you’ve come to the right place. We’re here to help you achieve your goals. Flawless bridal makeup and hair is an art form and we want all of our students to learn and practice this art to perfection. The complete and undivided attention of the Academy’s tutors during our courses focused on you to help you learn meticulously. We strive to get our students to award-winning standards so that your work stands out from all the rest. As we’ve been there ourselves, learning from scratch to become renowned in the industry, we know the standards required. Our courses are the most thorough available containing all of the vital elements required for you to become one of the best. With your effort and dedication and our course curriculum you have the greatest chance of reaching your goals and building an exciting new career. If you need more convincing go ahead and read about our UNIQUE TEACHING METHODS and check out our TESTIMONIALS. So what are you thinking? CONTACT US. Let’s work together and create some astounding bridal makeup looks that will turn your clients into your biggest fans. “I have trawled through what seems like 100’s of web-pages but when I came across yours, something about the photos and the feel of your work just grabbed me. #MUALIFE CLOTHING FOR BUSY MAKEUP ARTISTS NOW AVAILABLE IN OUR SHOP!